Note - Signature is available only to Junior IL'ites and above (50+ posts). Please see member statuses. External links are not permitted in the signature. Signature is a piece of text that would be inserted at the end of all your posts. 2. 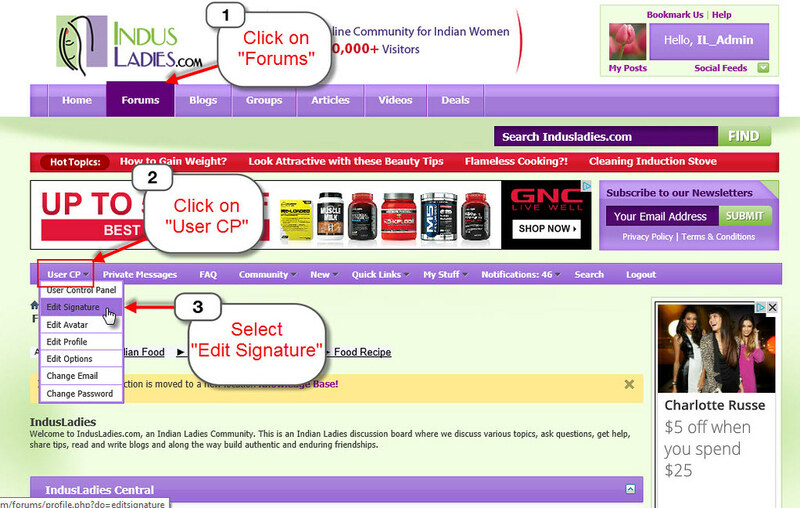 Click on "User CP" on the horizontal Purple menu bar and select 'Edit Signature'. 3. Update your Signature and click 'Save Signature'. Similarly, you can add pictures to your signature. The picture should not exceed the size limit of 19.5 KB.